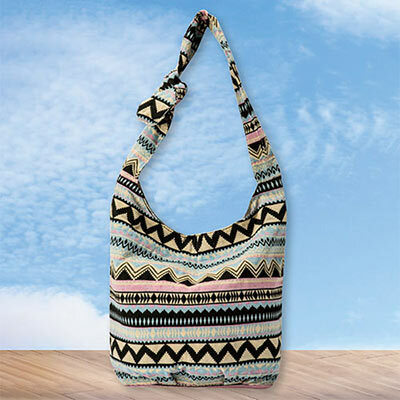 Big and roomy hobo bag striped in a colourful mix of motifs. Cotton/linen with large open compartment, magnetic closure, inside pocket, 32"l shoulder strap with bow accent. Imported. 15"w, 14"h.